Happy Tuesday! I hope everyone is having a wonderful week! Today I have a little kids craft for you that I made with my 3-year-old daughter, Abbey. She loves bringing in “gifts” to her classmates at pre-school and we take every opportunity to do so! 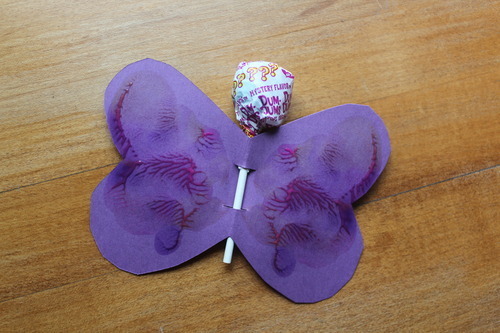 For Valentine’s Day, Abbey wanted to paint something, so we came up with these cute little Butterfly Lollipop Valentines. I tried to let her do these by herself as much as possible and I think she did really well! 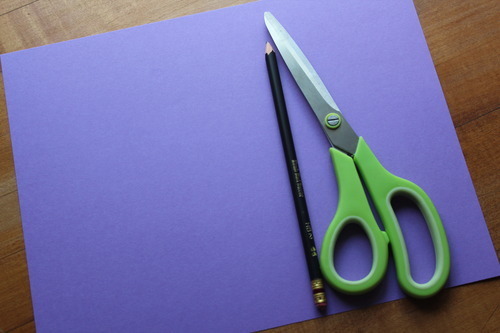 We started with some thinner cardstock (easier for little hands to cut), scissors, and a pencil. We folded each piece of cardstock and drew one wing next to the crease in the paper. Then we started cutting them out. Once unfolded, they are perfect little butterflies! I got out the finger paints and let Abbey paint one side of the butterfly only. 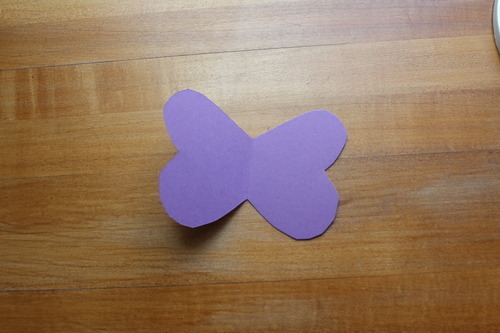 When she was done, we folded the butterfly back together and smoothed it out. 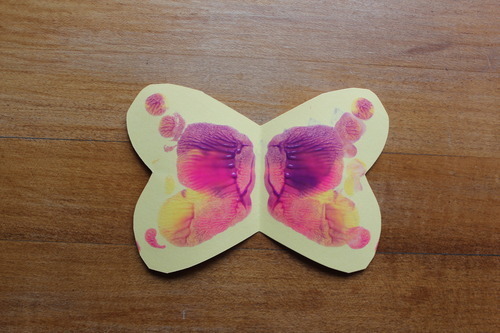 After reopening it, it was a beautiful symmetrical butterfly. After painting, let the paint dry completely. 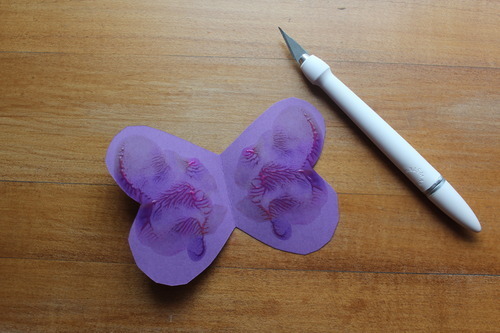 Once dry, take a craft knife and make two small slits along the inside crease of the butterfly. Then slip a lollipop through the slits and you’re done!! You can also use pencils, or anything else that will fit through the hole. These turned out so cute and Abbey was so proud of them. 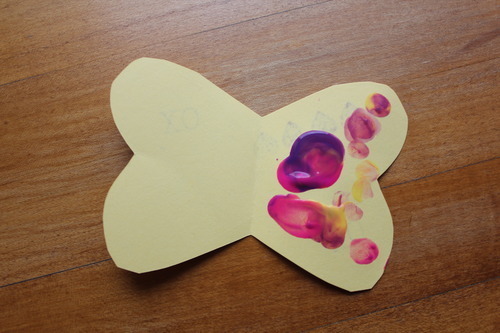 On the opposite side of the butterfly, she stamped a “Happy Valentine’s Day!” stamp and wrote her name. We made about 12 at one time. 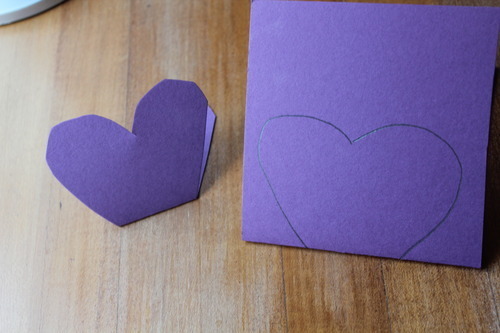 These were the perfect little Valentines for a pre-schooler to make and really get involved and do most of the work (which is how my little one likes it!). I hope you give these a try! 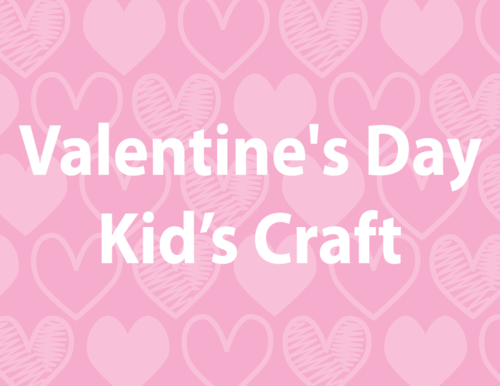 What pre-school Valentines does your little one like to make?